The 64-year-old former Beatle sent a message of support, saying it would be a "real shame" if vital services were cut back at the Conquest Hospital in St Leonards, East Sussex. more than 7,000 people marched along Hastings seafront in support of maintaining services such as Accident and Emergency and maternity at the hospital. 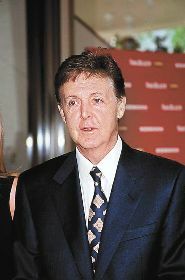 The rally was held as it emerged that more than 37,000 people have signed petitions backing the Hands Off The Conquest campaign.Friends of the Conquest Hospital secretary Margaret Williams said Sir Paul's endorsement of their efforts has lifted spirits.She said: "Having an endorsement from someone like Sir Paul really lifts the profile of the campaign."